Posted October 9, 2014 & filed under News. 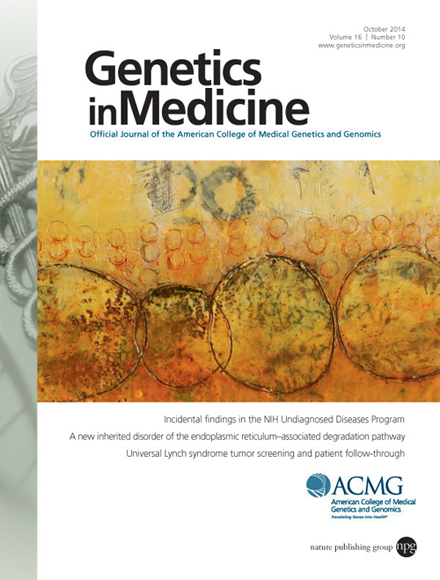 My Piece Going In Circles was featured on the cover of the October 2014 Issue of Genetics in Medicine. Going in Circles (encaustic, (16” × 16”). Encaustic painting is an ancient art form fusing beeswax, damar resin, and pigments. It flourished in ancient civilizations and is once again popular, offering limitless possibilities for creativity. This painting contains embedded collage elements that add to the luminous layers and texture.